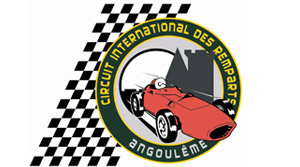 A wonderful opportunity to join the annual historic motoring extravaganza, that is the “Circuit des Remparts”, in the French town of Angouleme. This option includes return Brittany Ferry crossings from Portsmouth as well as 3 nights at the 3 star, Ibis Styles Hotel in Angouleme Nord. Check in at Brittany Ferries terminal in Portsmouth at 21:45hrs for the 22:45hrs overnight crossing to Caen. From Caen head directly to Angouleme to check-in to the Ibis styles hotel, situated in the Angouleme Nord area. • Watch the International rally with the other spectators as the entrants wind their way around the Charentais countryside. • Enjoy the atmosphere in town as the race cars arrive and get set up in the Paddock. • Take a seat and watch the rally entrants arrive back in to the City and cross the finish ramp. Race day on the historic circuit from 08:00hrs to 18:00hrs. Race categories include Bugatti Grand Prix cars, Frazer Nash, MGs, Vintage sport and racing cars, GTs, GTSs and GTOs. Those who wish to spectate can buy access to the track, grandstands and wander through the pits and paddock. Depart Angouleme for Caen ready to check in at 22:00hrs for the Brittany Ferries 23:00hrs overnight crossing to Portsmouth. Brittany Ferries crossings from Portsmouth to Caen including 4-berth window cabins in each direction. Upgraded cabins are available on request. Three nights bed and breakfast in the 3 star Ibis Styles hotel in Angouleme.